What Are Tree Rings Called? When a tree has been chopped down, the cross-section through the trunk reveals a concentric pattern of rings. These rings are called tree rings, or annual rings, and provide scientists with a tool to help date past events. Inside the trunk, a thin layer of cells called the cambium divides to create new tissue both inside and outside its own circumference. The outer tissue becomes the phloem, while the inner tissue becomes the xylem. Most (though not all) trees in temperate regions add one ring each year. Tree rings are sometimes called annual rings, although both names are often used interchangeably. 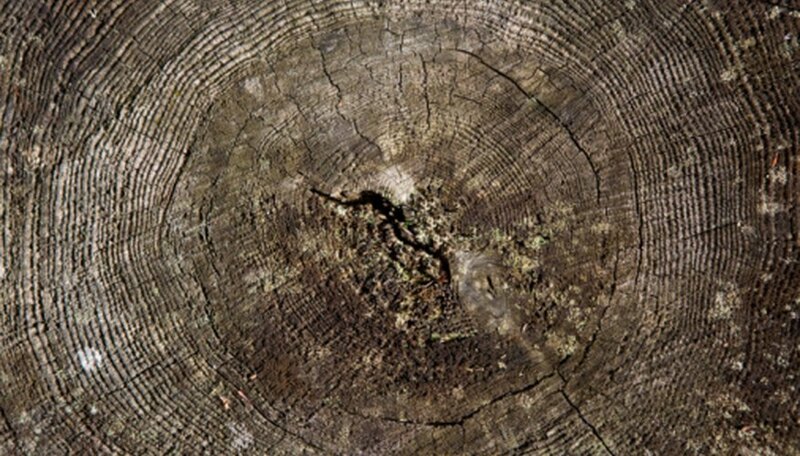 The study of tree rings and their use in dating past events is called dendrochronology. Droughts, heavy rainfall and forest fires can leave distinctive marks on the rings of a growing tree. Rings that formed during a dry spell, for example, will generally be narrower than other rings. Scientists can use this technique and compare ring patterns from different trees to figure out when past droughts or fires may have occurred in some regions.